SIX big fashion names, and only one of them from Chennai. Last weekend turned out to be style-heavy, with a little bit of music and movies thrown in for good measure. 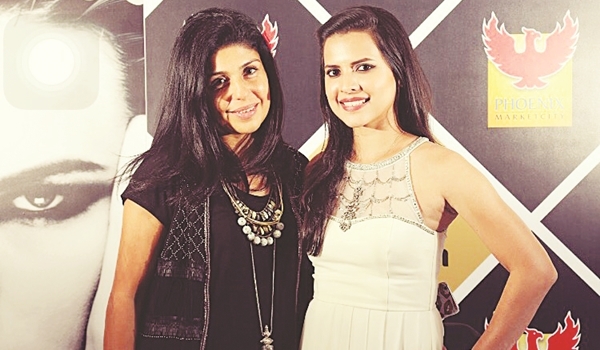 First came an invitation to a styling session with Anaita Shroff Adajania, courtesy Phoenix MarketCity and Embellvish. Despite being an afternoon event, Hard Rock CafA� was packed with Chennaia��s young and fabulous, waiting to meet the celebrity stylist. The unassuming Anaita took us behind the scenes of Vogue (she is the fashion director), talking about her high profile muses and re-working the looks of five popular Chennai faces, from different walks of life. After high tea and selfies, the crowd rushed off to Rutland Gate for Vivek Karunakarana��s Valentinea��s showcase. The designer, who excels at menswear, especially with his bandis and prints, has a new line for women, featuring flowing silhouettes and sparkle. He had the design fraternity in attendance, from Chaitanya Rao to Anaka Narayanan. Meanwhile, at the ITC Grand Chola, a fundraiser by FICCI FLO, saw jewellery from Jaipur Gems, PMJ, PC Totuka and VBJ, complemented by outfits from Samasta and Amethyst. Multi-designer boutique, Collage, had Kolkata boys, Dev R Nil, present the finale, with choreography by their friend and super model Nayanika Chatterjee, set to live traditional music. The two designers are known to be party animals, and I bet many were wondering where they were headed right after. 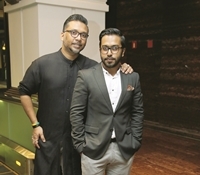 Their fellow designers from Delhi and Mumbai, Rahul Mishra and Anavila Misra, were also here on day visits, at Evoluzione and Amethyst, respectively. Ita��s amazing that Mishra made it, considering he is off to showcase at the Paris Fashion Week on March 5 (going by the photos on his iPad, this collection inspired by Chinese pottery is going to be both memorable and wearable). As for linen sari goddess, Misra, she had her young son in tow, as hordes of fans descended to make her acquaintance. Elsewhere, Adnan Sami fans thronged the University Centenary Auditorium in Chepauk for a long night of the singera��s best hits. And in the capital, fashion maverick Manish Arora was awarded with Francea��s highest honour, the Chevalier de la Legion da��Honneur. 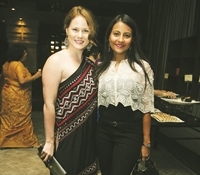 Hoteliers and industerialists joined the fashion cognoscenti at the event. Back home, at Sathyam Cinemasa�� premiere of Spotlight, it was great to see a mixed crowd on the red carpet, including photographers, designers and younger actors.